Spring is in full swing and we’re celebrating by launching loads of brand-new design templates you can use for all of your online printing needs! 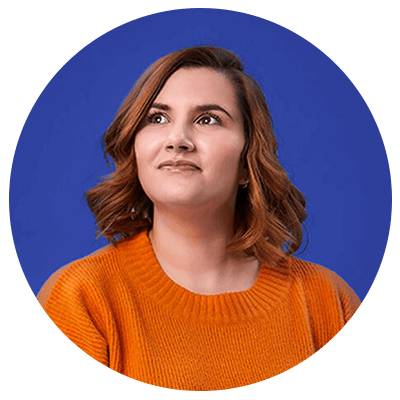 We’ve listed our favourite designs for the time of year below so you can start customising straight away. If you run your own gardening or landscaping business, you’ll know that the peak season is right around the corner. 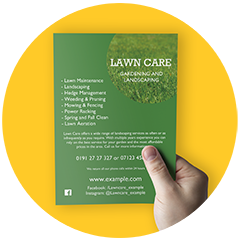 Make sure you’re ready with our gorgeous green Lawn Care range, available as folded leaflet, flyers and business card templates. 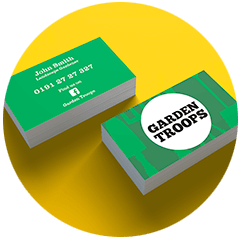 This army-green template is ideal for your gardening business. The illustrated tools and fun circle for your company logo make our Garden Troops templates a fun yet professional option! Choose from folded leaflet, flyer and business card designs. Add some colours to your print marketing with our stunning Rain or Shine template! 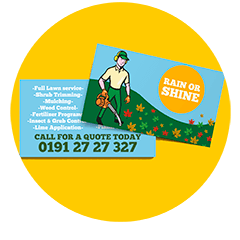 This fun design is ideal for the coming months and will help your gardening or landscaping business to stand out from your competitors. Available for flyers and leaflets and business card templates. Spring is also the perfect time to freshen up your beauty industry print and give your marketing a whole new look. 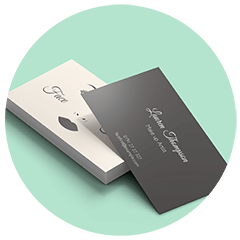 Our Face First template is a simple yet effective design that’s perfect for make up artists and beauticians. Available for stickers, roller banners, posters, folded leaflets, flyers and business cards. 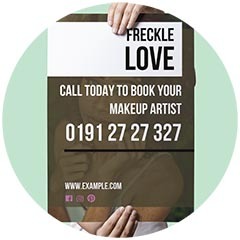 Show off your best work with our photography-based Freckle Love templates. Just add in your own pictures! Available for posters, stickers, roller banners, premium roller banners, business cards and flyer templates. Make up artists and beauticians are in for a treat with this pink and white Glaze design. Choose from vouchers, loyalty cards, stickers, flyers and more to create a marketing toolkit your customers will love as much as you do! The lacy gradient Mademoiselle design ticks all the boxes for beauty businesses, jewellery makes, clothing boutiques and more! 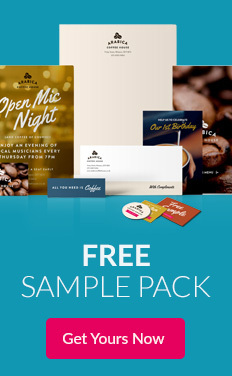 Click on the image to start designing your own flyers, coupons, stickers, roller banners, posters, invites, and business cards. A bright and fun design that’s ideal for beauticians, the Vibrance range uses brush strokes to recreate a makeup effect. 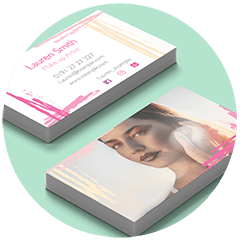 Create your own business cards for your make up business or side hustle. 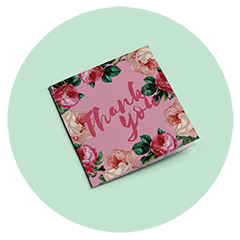 Promote your beauty, boutique, jewellery or florist business with our dainty Vintage Rose design. Floral and pink, it exudes femininity! 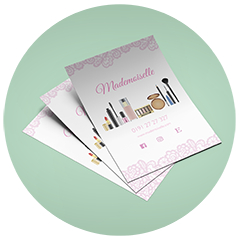 This free design template is available in greetings cards and business cards. 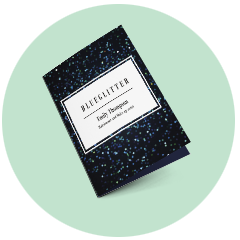 A free template that’s already proving popular, Blue Glitter is a dazzling design that’s ideal for a range of different businesses including hairdressers, salons and nail technicians. Use this design for roller banners, posters, folded leaflets, flyers and business cards so all your marketing materials match! 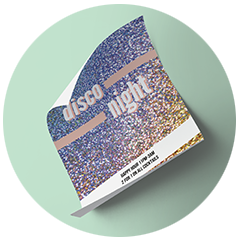 If glittery designs are your thing, you’ll love our Holographic glitter design templates. 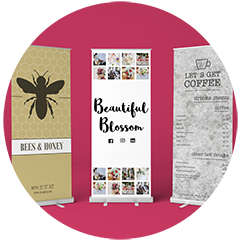 Advertise your make up business or promote your salon sales with a choice of roller banners, posters, folded leaflets, business card and flyer designs. Happy Birthday! 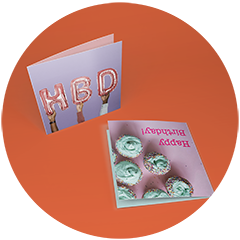 Our Birthday celebration templates are perfect for both corporate or personal use. Trendy pastel pinks and blues make them ideal for this time of year. Create your own personalised Birthday cards, coasters and stationery! 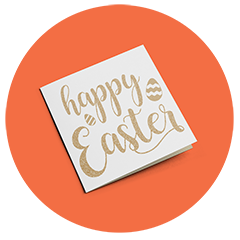 Celebrate Easter by sending your customers a personalised Easter greetings card! 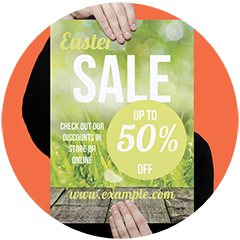 It’s the perfect way of showing appreciation with a discount code or reminding them of your Easter sale. Free Happy Easter print designs are available for wall art posters, stationery and cards. With spring comes all the exciting outdoor events. 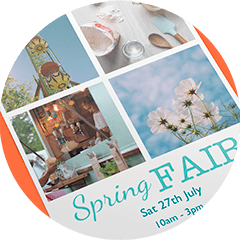 Make sure you’re event-ready this year by stocking up on our Spring Fair design templates. Fresh, crisp light blue makes this design pop, making ideal for creating a buzz about the event. Available for roller banners, posters, flyers, folded leaflets, business cards and table talkers. 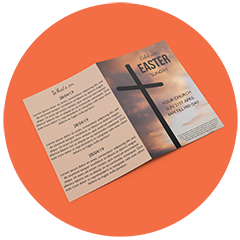 A traditional design with a twist, our Easter Service design templates are a great option for your church to advertise its seasonal service this year. 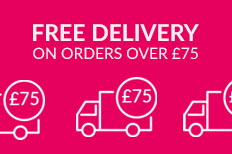 You’ll find all the printed products you need for promoting the service: folded leaflets, posters and flyers! We’re giving traditional sales a fresh twist for Easter with this eye-catching green Easter Sale collection. 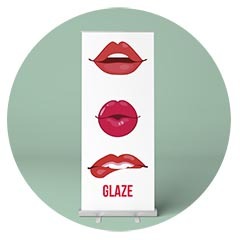 Ideal for promoting instore sales, you can design and print your own posters, strut cards, flyers and custom stickers! We’re always updating and creating new free design templates to make your online printing experience as seamless as possible. So keep an eye out for our latest templates! If you do choose to customise and print our templates, we’d love to see the finished piece. Share your print with us on Instagram or Twitter by tagging us @instantprintuk or #instantprintuk for your chance to be featured.